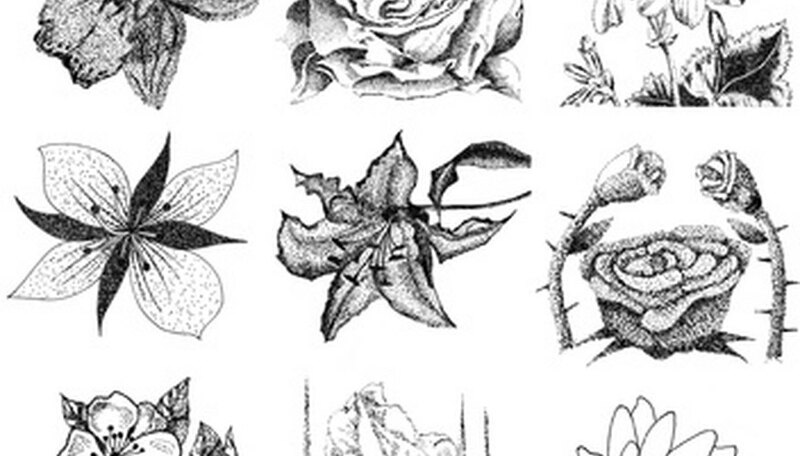 Drawing flowers well depends on breaking down the flower's form into several simple shapes. Most flowers fall into a certain overall shape category, as well. The shape categories are circular, cone-shaped and U-shaped. Once you have identified the overall shape and the simple shapes that comprise each overall shape, the drawing process is much simpler. To practice this concept, try drawing the circular daisy, the cone-shaped trumpet flower and the U-shaped tulip. Draw a circle for the center of the flower. Draw long, pointed ovals for the petals. The petals should radiate out of the center like bicycle spokes. 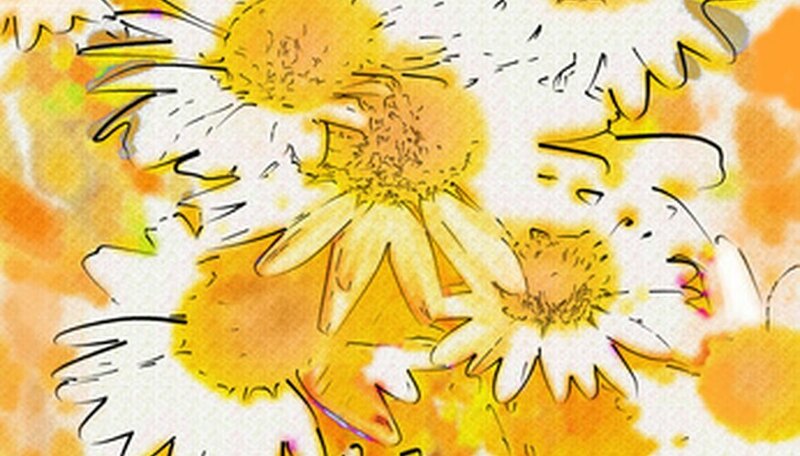 Flick the lead of the pencil over the center of the daisy in short, quick strokes to create the little hairs that can be found in the center of live daisies. Make sure to cover the entire surface of the circle with these hairs. Draw two parallel lines at the bottom of the circle for the stem. Draw a downward facing V-shape. Draw an oval at the bottom of the V-shape. The oval's longest sides should touch each arm of the V.
Draw three overlapping lines coming from the center of the oval. Draw a small circle at the end of each line to represent the trumpet flower's reproductive parts. Draw a thick, curving line coming from the point of the V for the vine. Draw an M-shape at the opening of the U. Make sure that the outer legs of the M touch the arms of the U. Draw two parallel lines at the bottom of the U for the stem. For a more three-dimensional look, shade the flowers according to your light source.